I am looking for 2 rolls of this Wayfair design. Anyone know where I can find some? You can put alerts on both eBay and Amazon. Do you know the pattern name and approx year of release? Etsy is a good source for wall paper. 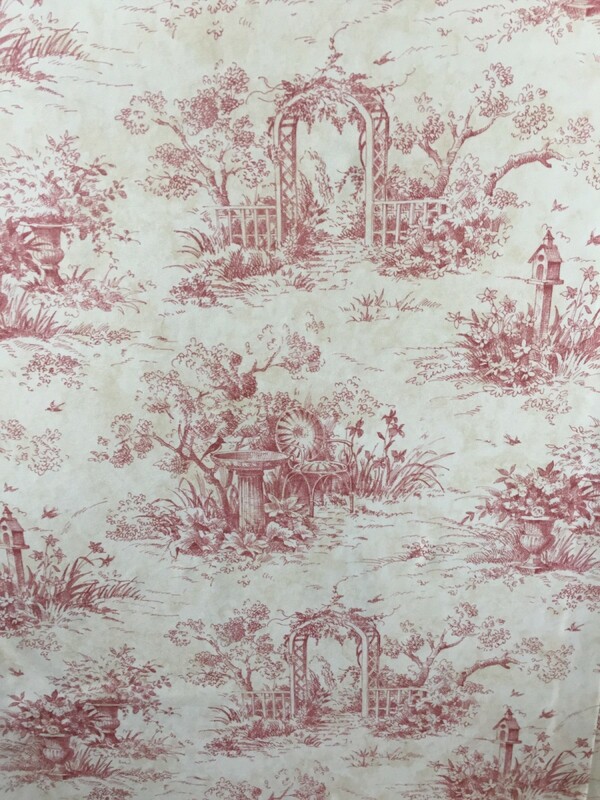 There are a number of online merchants who specialize in wall paper...both new and old, but I would need more info to point you in the right direction! Let me know! Is this a brand name wallpaper or do you mean you purchased it from Wayfair Company? It is very difficult to research a wallpaper design without a pattern name. Do you have any information about the name or age? How do you know the brand name? You can add replies with information to this post. You will need to be sure of the brand name first so you may have to try and contact Wayfair to see if they can supply the brand name; maybe from a previous order? If you cannot find out the brand name then no search will be possible. Once you find out the brand then you can follow through with your search. If you do not know or cannot find the pattern name or even the age of your paper, we can just assume it is a discontinued pattern and start from there. You can start with showing your picture to brand name dealers in your area as they will be the most knowledgeable people when it comes to patterns and age. Some of them may even have left over rolls as dealers do not usually discard rolls even when the pattern is discontinued. Google "your Brand Name" Wallpaper with your zip code and make a list to contact. Start your visits and once you find out the pattern name you will be able to call all of the other dealers and ask about left over rolls. If you live in a large city there may be several dealers (many dealers carry several company brands) and you may get lucky but if no one has any rolls then you can take your search to your state zip code and make phone calls until you find your pattern. You may have to go nationwide with your calls but most likely you will find a dealer with rolls of your pattern. I have helped several people using this method and we were always successful so if you really want your 2 rolls, spend a little time, be patient, and hopefully you will find what you need. Prices for rolls like this will vary - just as they will if you find your rolls on Etsy or eBay but you may have a choice once you find out your pattern name. Let us know if you find the brand and pattern and maybe someone can offer more suggestions.